Kolkata , 21 March 2015: Atul Prasad Let, 40, consumed pesticide at Bishnubati village, another Bijoy Hansda ,38, also took the extreme step at Shivrampore Friday night. Both died in the Burdwan Medical College Hospital Saturday morning. Ratan Shanr, 35, potato farmer, consumed pesticide at his home at Sasanga village in Khandagosh area of the district Burdwan in west Bengal on march 18. 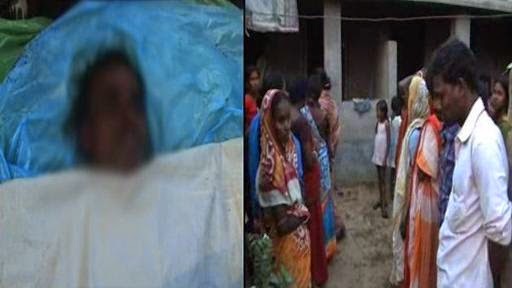 Police said that the farmers allegedly committed suicide was suffering from financial crisis died at Burdwan medical college Hospital on Friday morning. The deceased Ratan's brother said that the farmer had mortgage his wife's ornaments to arrange for a private loan of Rs 60'000. Potatoes production in the state was in excess of 110 lakhs ton and up by around 15% over last year. It was due to higher acreage and conducive climate. As the prices of potatoes remained very low, he was depressed and took the extreme step. The potatoes suffered the low demand from the other states, which slumped in prices of the production cost of Rs 450 to the Rs 150 a bag. The police said, "The potatoes farmers toll rises to five and Atul Prasad is the fifth of the victims of such depression". 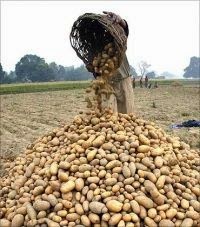 The government has created a Rs 10 crore corpus for transport subsidy for potato farmers for exporting tuber by both ships and railway rakes besides, procuring it from farmers at Rs 5 a Kg for direct retailing in 20-odd state-owned sufal stores in and around the city at Rs. 7 per Kg.